While everyone’s designs were impressive, the judges felt that along with the winners the following designs were worthy of a special mention as either runners up or commended entrants. 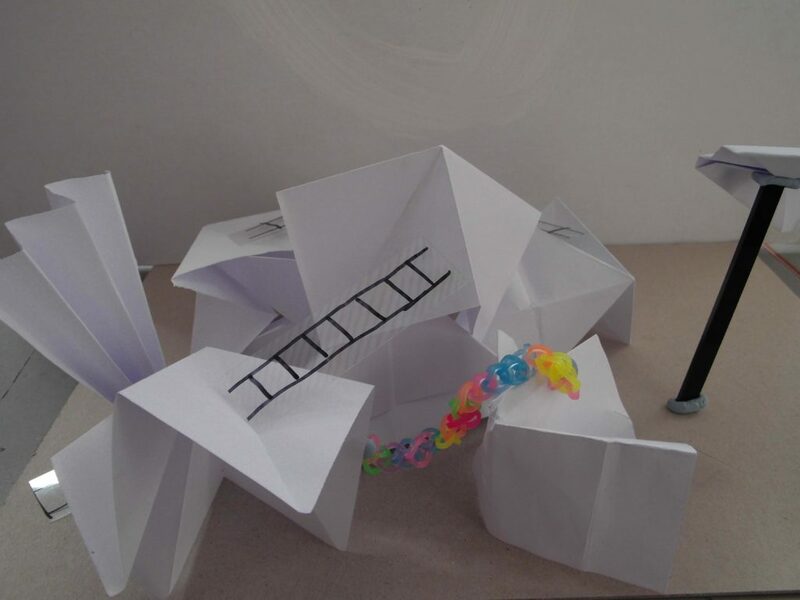 Congratulations to the brilliant future architects below. 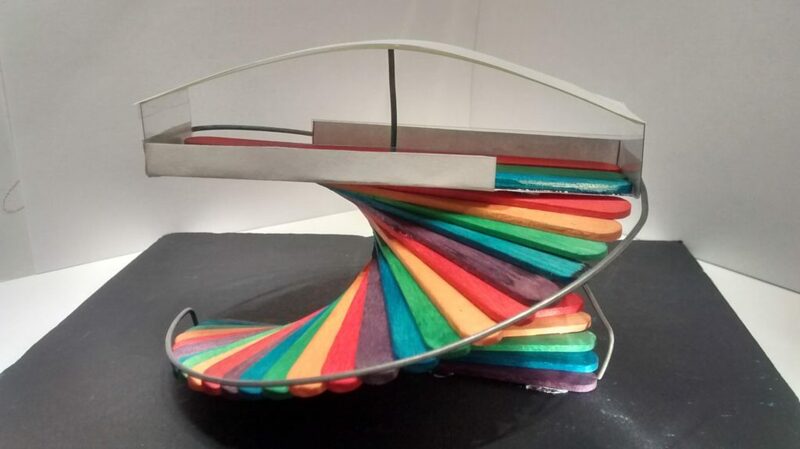 First runner up Peter, aged 10, was inspired by the De La Warr Pavilion in Bexhill-on-Sea with this double sided curvy staircase design. 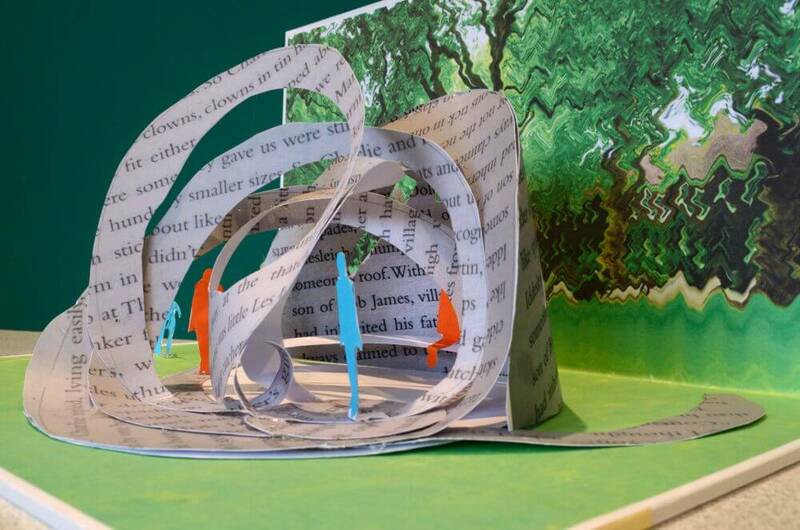 Second runner up Amy, aged 10, created a ‘Readax’ Pavilion for reading and relaxing, with words printed on the Pavilion. 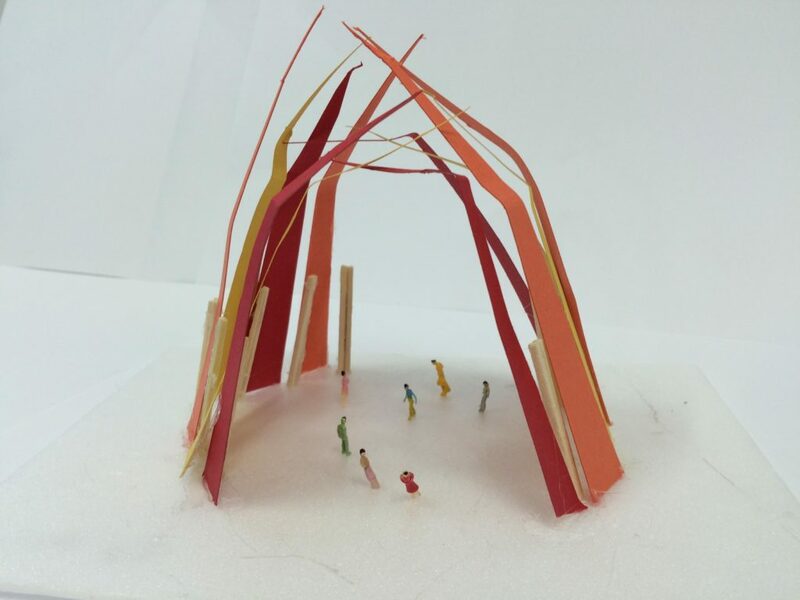 10 year-old Aaron’s Pavilion was inspired by fire and shaped like a giant flame. 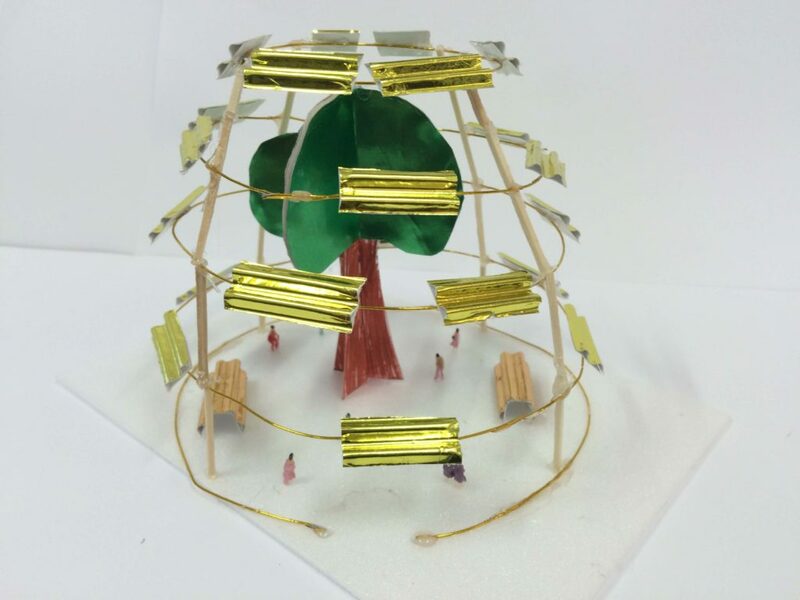 Arne, aged 10, was inspired by nature, placing a tree at the heart of his metal structure.